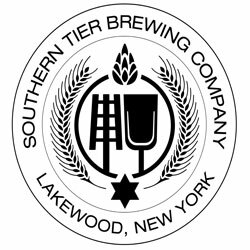 LAKEWOOD, NY – Southern Tier Brewing announced distribution changes in South Carolina today. The brewery was originally distributed through only one distributor for the entire state and has since expanded its network to 10 distributors (full list can be seen below). According to brewery spokesperson Nathan Arnone, Southern Tier plans to double the cases shipped to South Carolina from 5,000 to 10,000. Southern Tier has been distributed in the state for the past three years, but after recent brewery expansions which included an upgraded bottling line and more fermentation space, they determined South Carolina as a market they wanted to send more beer to. Their new bottling line allows them to package up to 10,000 bottles per hour. The brewery produced 30,000 barrels last year and is currently projecting 50,000 barrels for 2011. In May, it was announced that their year-to-date growth was 122 percent. A B Beverage Co. Inc.
B & B Distributors Inc .
H & S Wholesalers Inc.